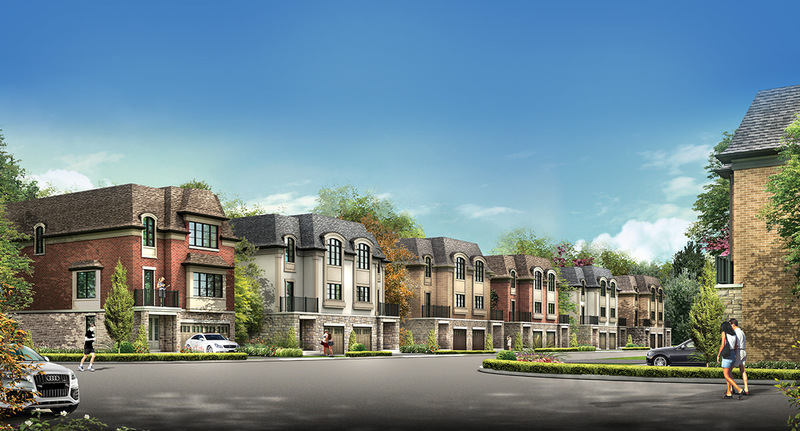 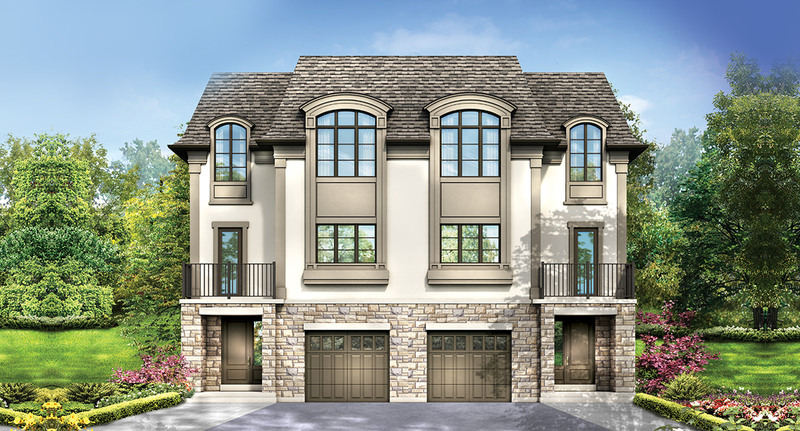 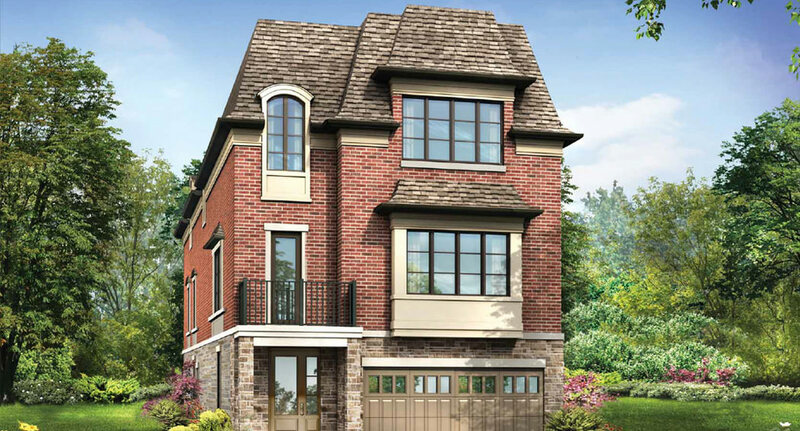 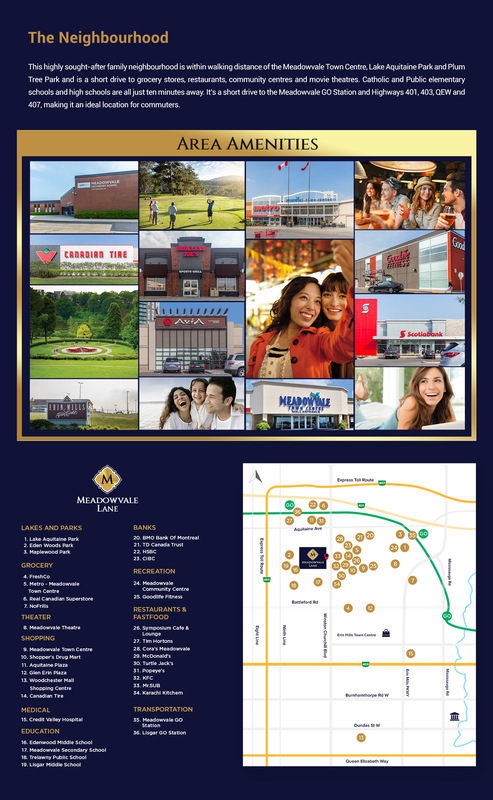 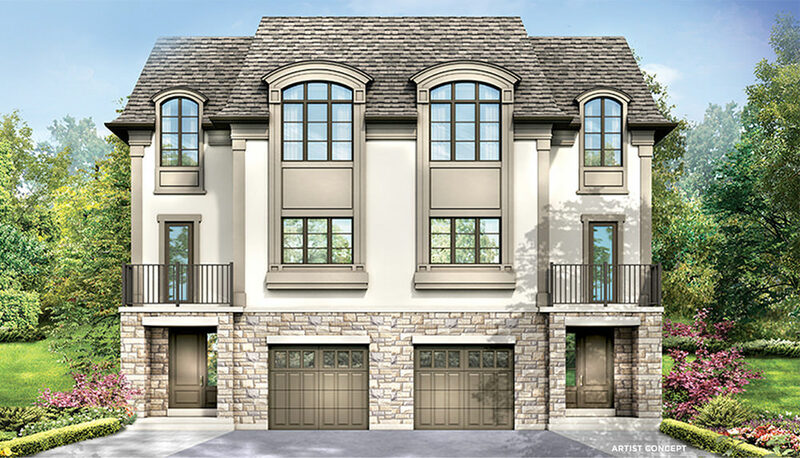 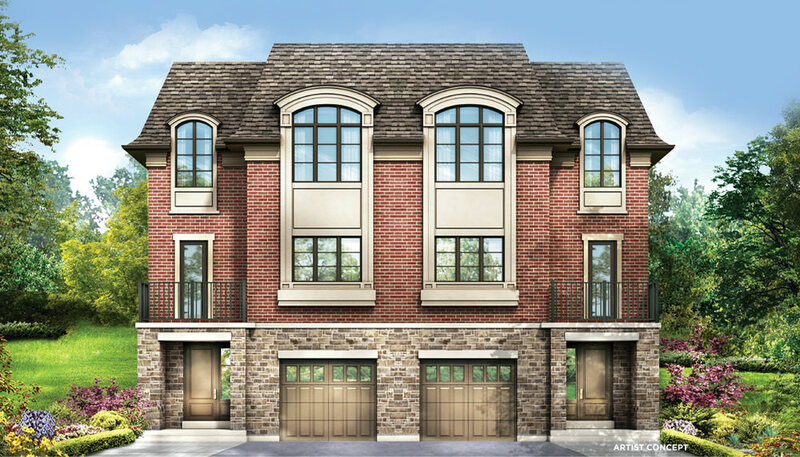 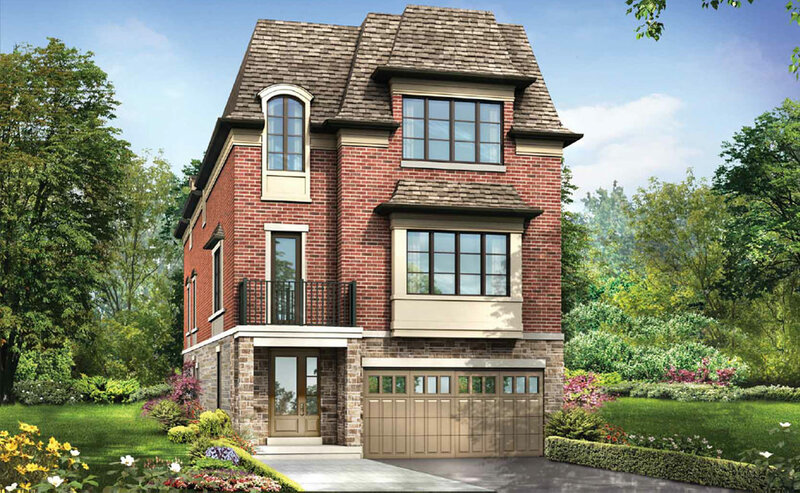 Nestled in an established residential neighbourhood in Mississauga, Meadowvale Lane is a contemporary collection of French Chateau-inspired semi-detached family-sized homes. 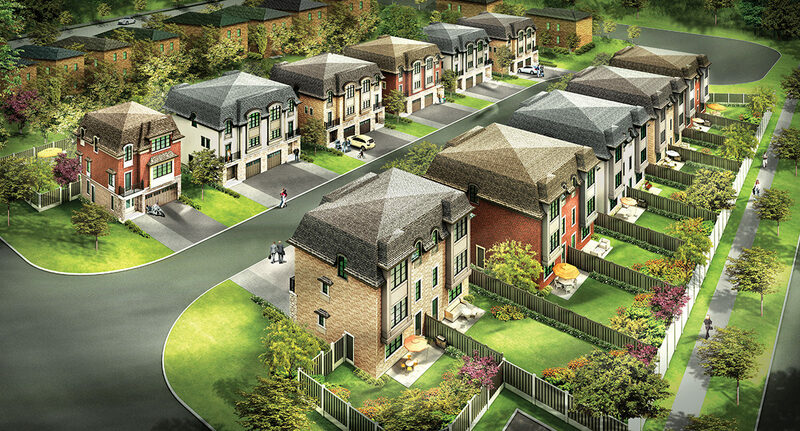 Designed for contemporary living and today’s modern family, these luxurious 3-storey semi-detached homes offer up to 3039 sq. 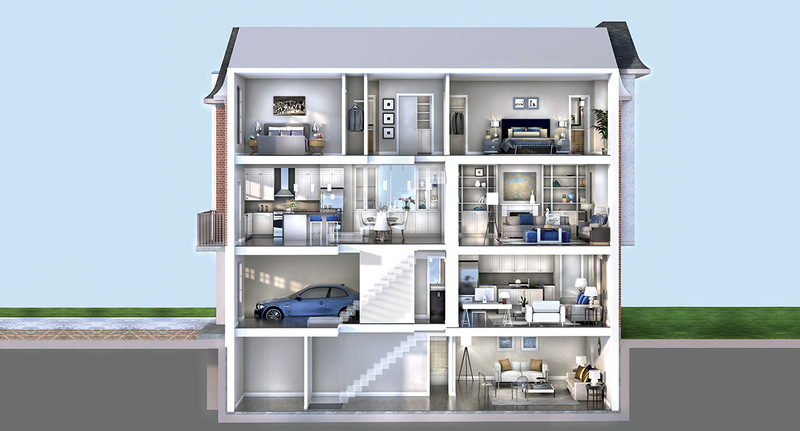 ft. of beautiful living space. 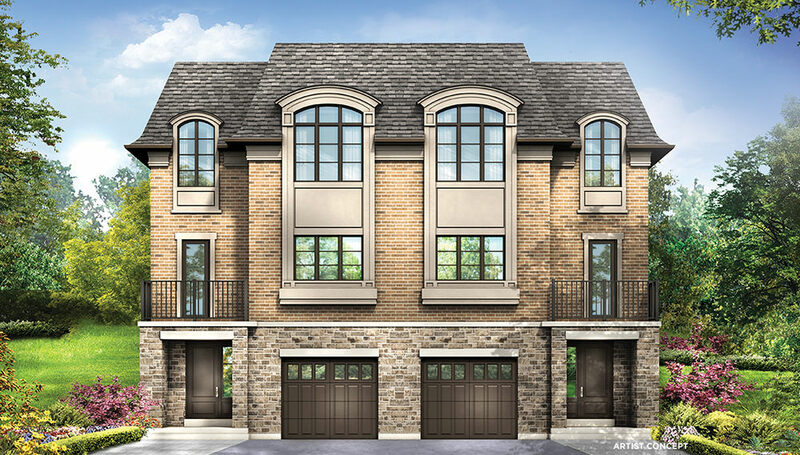 You’ll love the soaring ceiling heights that showcase the large, sun-filled windows. 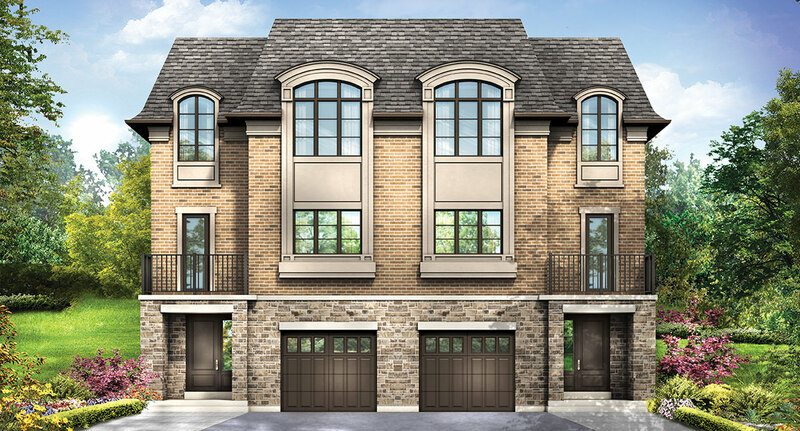 Large backyards entice alfresco living, while parking for three cars is ideal for families at various stages. 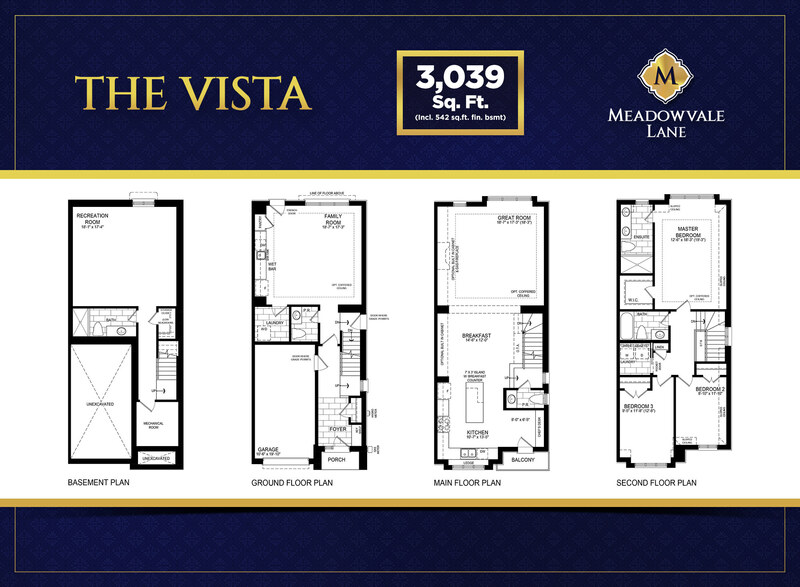 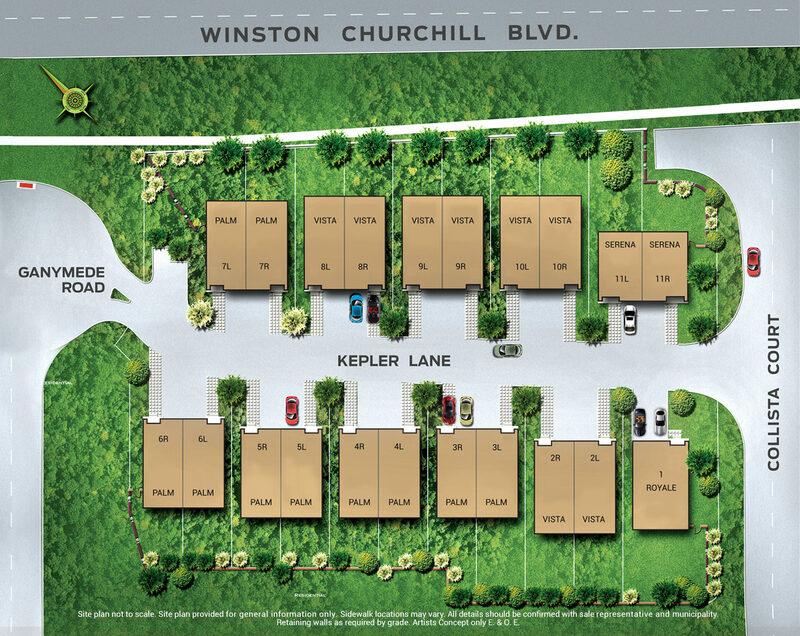 What really sets these homes apart is the option to customize your floorplan to suit your needs today and in the future. 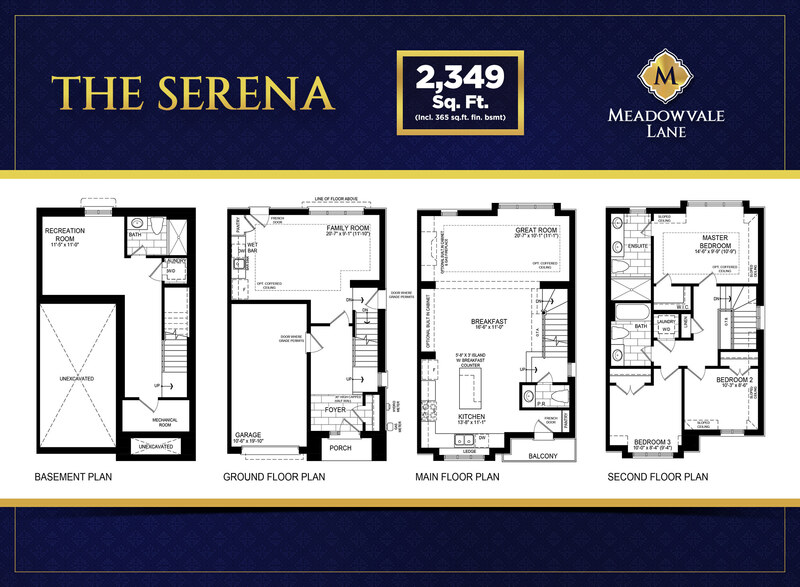 The interiors of Meadowvale Lane were designed by renowned designer Jackie Glass. 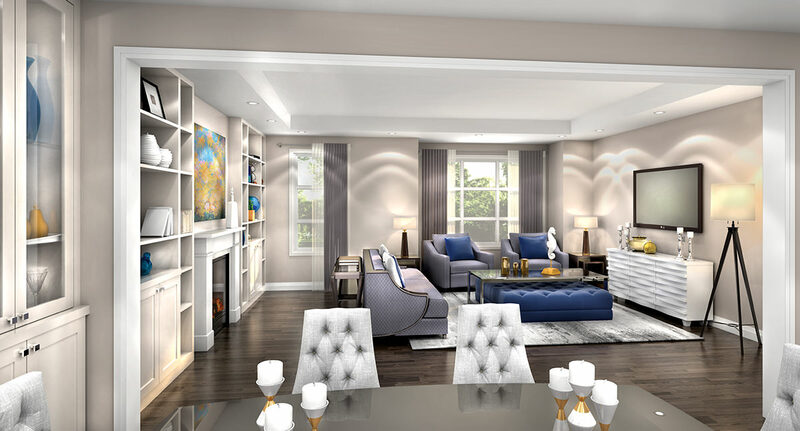 Over the years, Jackie’s work has been profiled on Cityline and featured in national magazines including Style at Home, Canadian Living, House & Home, Reno & Décor and Canadian Home Trends. 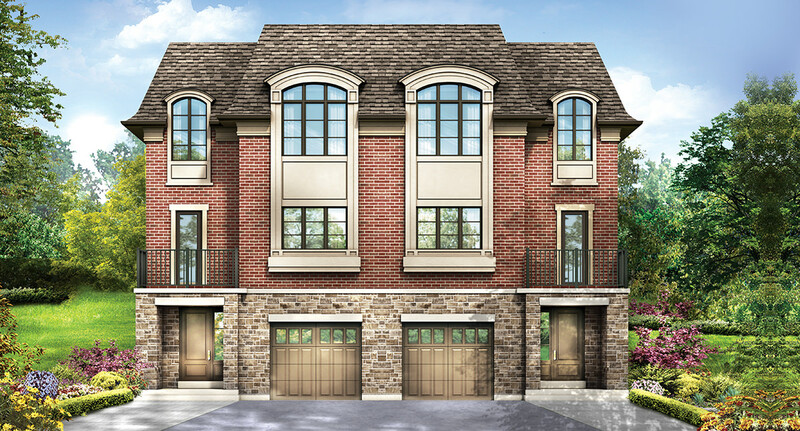 Jackie brings an extraordinary level of creativity and competence to the homes of Meadowvale Lane. 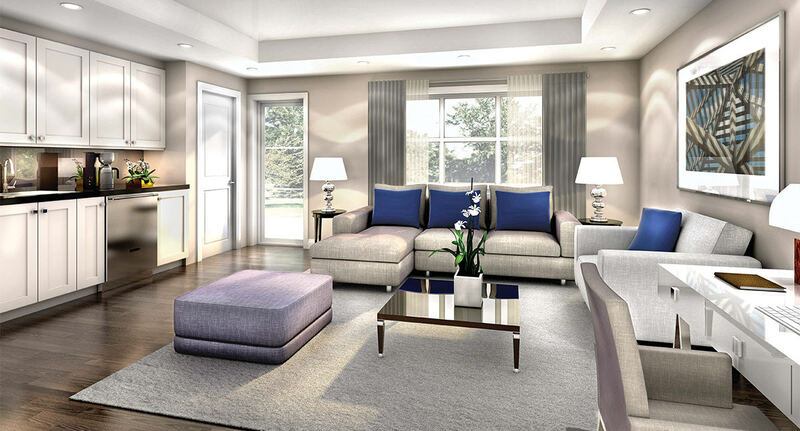 Smartly Designed for Today and Tomorrow! 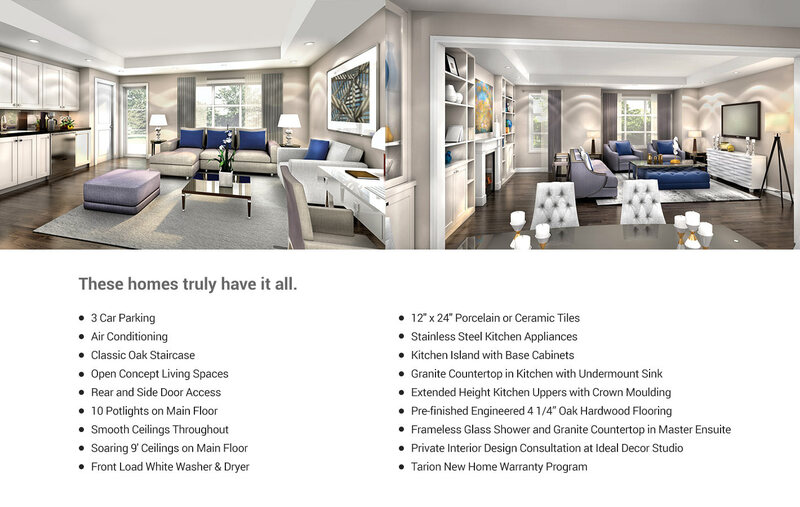 Reflecting cutting-edge design, each home offers Flex Space that can be customized to fit your needs today and in the future. 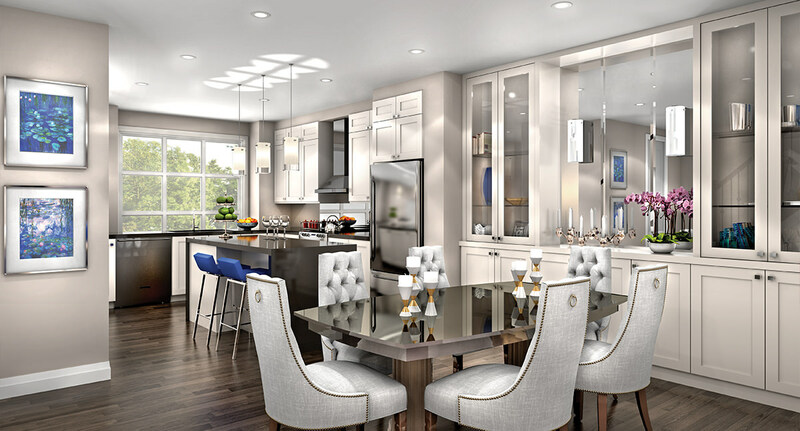 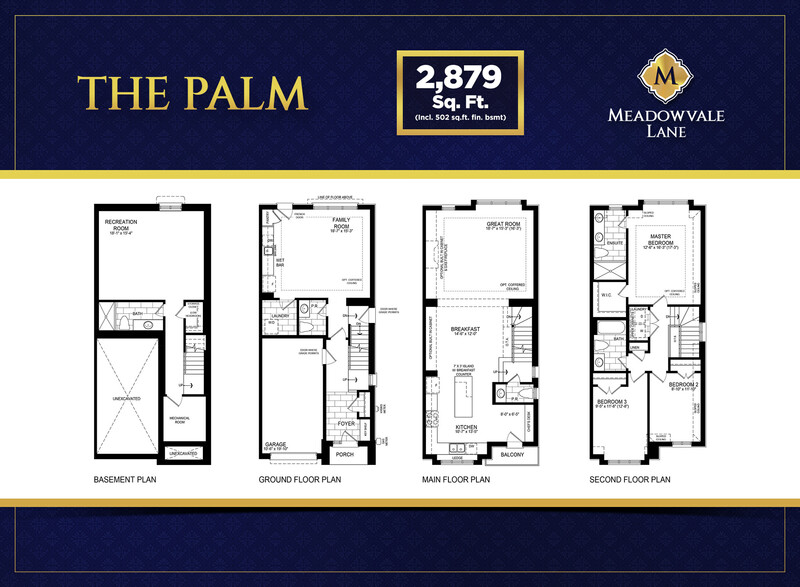 From the creation of a private in-law suite to a wet bar and laundry room on the ground floor, to a finished recreation room, your home will have the option to accommodate your signature style.